You're assuming all the files are on the server already. No, I'm asuming that they are on Randall's computer, and that he's not drawing each frame on the fly. And after it finished panning/zooming to reveal both castles, he was working on the second castle with her. So for the frames during the pan/zoom, he was most likely helping her. That's not the time period in question. He said bye, left for a while, returned, and it was after he had returned that the zoom occurred. It was after he said bye and before he returned that is being questioned. But he certainly left - the castles are right next to each other*, he would not have said bye and she would not have said later if that's where he was going. 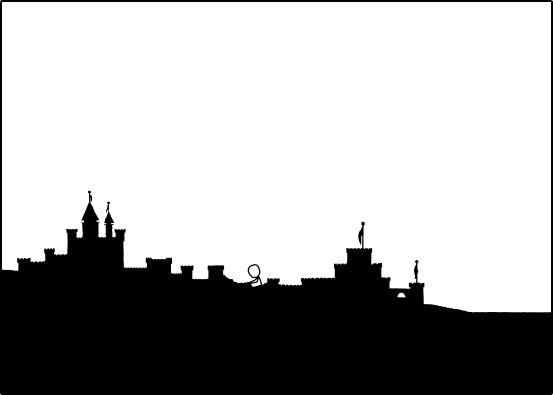 * - in anticipation of someone arguing that the castles might not be right next to each other because of scale or something, I say, nothing at all like that has happened so far, and I don't think that kind of trickery fits with the tone of the comic thus far. It's the same reason it made no sense to believe the water was anything other than water - at no point has the scene been revealed to be anything other than exactly what it looks like. But how would you ensure the data is consistent? Surely dandruff varies from person to person. I proprose an acetone purification followed by a water rinse. ...is dandruff soluble in acetone? Wildhound wrote: Agreed. I found that I lost interest in Click and Drag much more quickly than I ought to have because the zoom versions sucked the magic out of it. And I just couldn't resist. I find myself in the opposite situation. I work so goddamn much these days that what would normally be a fun time sap can leave me with no time to get done things that I need to do. So when I see something that's really cool but really, really extensive... I might just go "oh that's a neat thing to check out some time when I have more time" and forget it. If there's a quick way of exploring it, I'll spend a (reasonable) bit of time doing so, and get much more out of it than I would just putting it on an ephemeral to-do list never to be seen again. If it weren't for the likes of Aubron Wood and such here, I wouldn't be able to follow this comic at all. I already can't follow this thread properly. Why not the Time Lords? Wait... How many of us are women? If it's a large proportion then I am prepared to get together and test either hypothesis. In this case, gross is just a matter of perception. But yes, it will be very, very gross. Because surely Randall is the Time Lord? We are merely keeping watch. I don't think even Randall The Great would have suspected 113 pages of talk on the subject!! Good point. Well, the Time Keepers has my vote then. There is only one Time Lord. I believe not. If acetone dissolved flesh, nail polish remover would be an altogether more frightening prospect. And failed to write proper english. Sorry, I wasn't trying to be mean or anything. I just thought "sniping" to "snipping" was a funny typo in context. Reka wrote: What is it with Cueball and futzing around with one leetle bitty tower for, like, an eternity? Get on with it, man! Megan would've built the friggin' Washington Monument by now! I find I have to repeat myself. C'mon, Megan, come back, we need you! Compared to Cueball, a snail is a racecar! I have to say, I disagree. I can think of dozens of times I was with my girlfriend at the beach, at a party ... ANYWHERE ... and I would say "Later!" when I was going a short distance away. Once the second castle began, a reason was established for her to go to that location later, so her walking over there wasn't something that would require any explanation. "Later" is a lot easier to dialogue in a strip like this than "Hey, I am going over there to build a new castle." I don't think he built it all himself, but I think there is a good case to be made that he started it. Hm. Perhaps he's not building a large central tower after all. Doesn't seem like it, from the different levels of the castle on each side. Oops... Probably because I've written FarTooMuchJava this week. You are confusing Camel case with Pascal case. Camel case words begin with a lowercase letter: timeKeepers. Pascal case is where each word of a compound word is capitalized: TimeKeepers. Last edited by Zentdayn on Fri Mar 29, 2013 2:36 am UTC, edited 1 time in total. Wildhound wrote: I believe not. If acetone dissolved flesh, nail polish remover would be an altogether more frightening prospect. Although it would destroy the market for plastic surgery. Or revolutionalize it, depend on how you look at it. I have to say, I disagree. I can think of dozens of times I was with my girlfriend at the beach, at a party ... ANYWHERE ... and I would say "Later!" when I was going a short distance away. This is not the same as saying bye to her when you are at but not leaving a party. It's more like you're sitting in a sofa with her watching TV and then say "later!" as you go to sit on the chair right next to the sofa for a while. There are no other people around - saying bye when you're still standing basically right next to the person would be weird. Again, as with pretty much everything else about the comic, I'm pretty sure the most obvious line of reasoning is the correct one. wait like a week and get a whole bunch of gif'd newpix fix... I am loving coming back at sporadic periods, seeing an advancement, then looking at the picks inbetween to fill in the gaps. on a side note, if next weeks what if isn't 'what if time doesn't end' and consider the engineering hours lost through lack of sleep i will be quite disappointed. diego5wh wrote: I have never felt so connected to random strangers people on the internet. I think, after the last 4500+ posts here, you're really pretty safe in calling us "stranger". Sounds like a good way for some of us 'the timeWaiters' to gather and celebrate the end of TIME. I just attempted to explain Time (and xkcd in general) to my friend and why I've been so preoccupied with it. Happened to me as well, earlier today. We're a unique bunch. I've always known the difference as lowerCamelCase and UpperCamelCase. Just wanna point out: He never said "Bye", he said "Later". She's the one that said "Bye"
Edit: Nevermind just opened on gimp, I'm an idiot and I missed the dialogue is all. It looked to me like the gif ended with that because it went so fast. Last edited by Hawb on Fri Mar 29, 2013 2:51 am UTC, edited 1 time in total.